Do you like Pirate Booty? Share it with your friends. 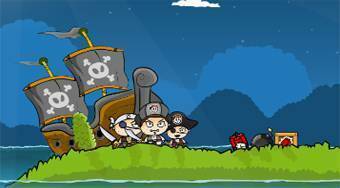 Pirate Booty - destroy all the pirates at the game field using available weapons so that they fell into the water and were drowned.